Sonos is a brand of smart Hifi speakers including the models One/Play:1/Playbase/Sub/Connect and so on. They are well received as best Wifi speakers for many advantages. 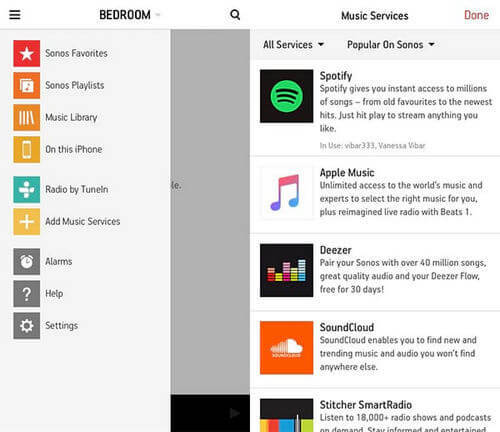 You can easily set up them, organize and access your favorite music with the Sonos app wirelessly. What's more, they partnered with Amazon to enable Alexa to control Sonos speaker orally. The mesh networking technology with AES encryption also makes it possible to play music simultaneously in multiple rooms. Then the question comes, can you play Spotify through Sonos, which is the most pouplar streaming music service? Definitely. Here we will show you the top two solutions. They work well for all the users with free or premium account. 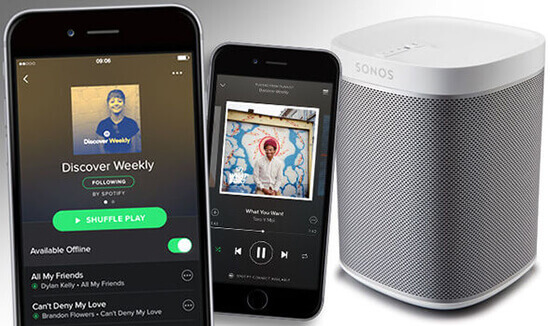 Sonos has integrated many streaming services include Spotify, Pandora, iHeartRadio, QQ Music, Amazon Music and MOG. However, except Pandora, all of them require Premium membership to use. So please make sure you have subscribed to the Spotify Premium. The good part is that the operating process is not complicated at all. Step 1. Download and run Sonos app. You can do that on your phone with Android/IOS or Computer with Windows/Mac. Step 2. If it is the first time you use it, please follow the screen wizard to add and configure all the Sonos speakers to the same Wifi in your home. Step 3. Click “Add Music Services" menu and then select "Spotify" and sign in with the account and password. Also, please turn on the option "Control Sonos from Spotify" from the settings. Step 1. Launch Spotify Music app on your mobile phone, tablet or computer. Make sure the device is connected to the same network as your Sonos. Step 3. On the playback windows, find and click the menu "Devices Available", then select the destination Sonos speaker to stream the music. You can also control the volume, fast forward, backward etc. This works best for users who subscribed to Spotify Premium regularly. 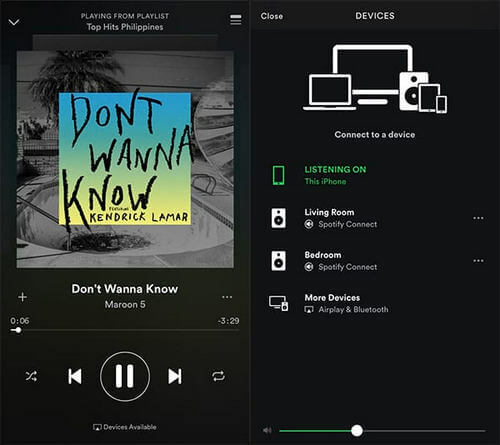 You don't have to go through the dedicated Sonos app to listen to the music but control the songs directly through Spotify. The drawback is that it is not free and sometimes it may not be connected well due to network issue. Perhaps not everyone knows that besides streaming music online, Sonos is able to play tracks from your local library. Instead of spending much subscription fee on music, you can play your favourite songs for free. The question is how to save the Spotify music to your local library. With the DRM protection, all the Spotify songs are encrypted in OGG Vorbis format. Take it easy. 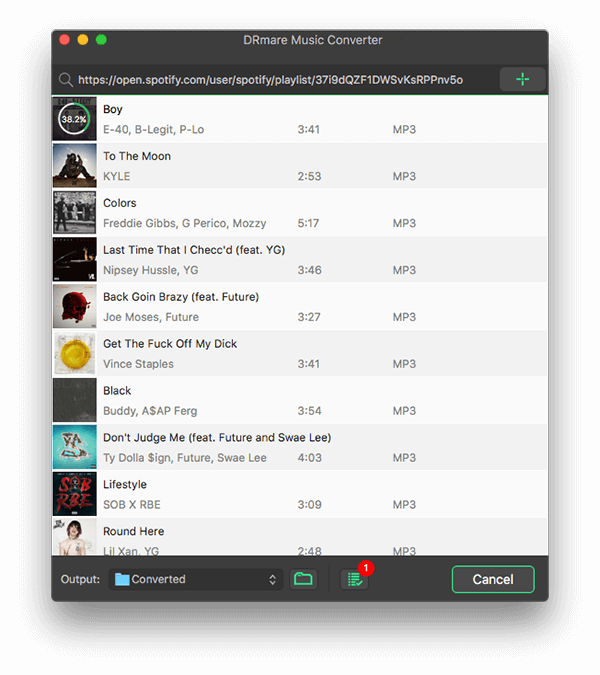 DRmare Spotify to Sonos Converter for Windows/Mac is here to help. It has the feature capture all music from Spotify and turn them into universal format as well as the option to change the bit rate, frame rate etc. Even if you have only a free account, it can enhance the downloaded music to 320 Kbps and get rid of the Ads. 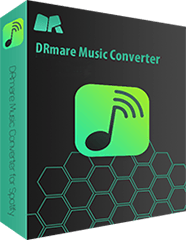 Unlike other free Spotify converter which can only record one song at a time, DRmare has the feature to batch convert all the songs continually. 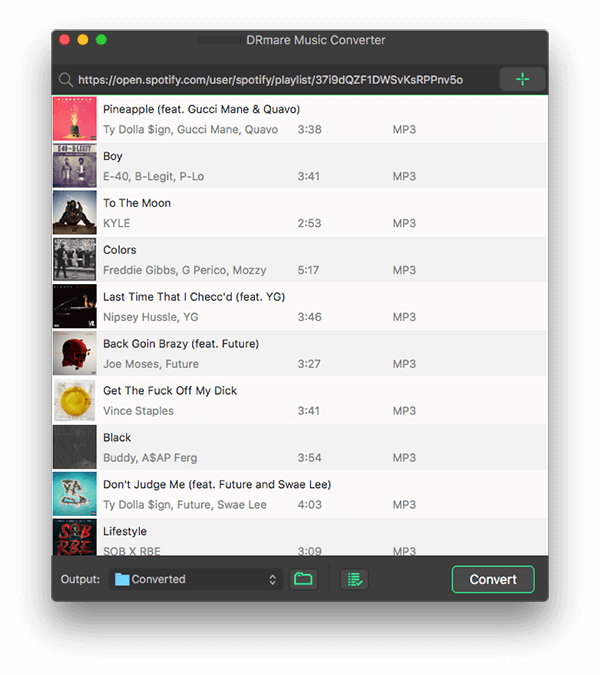 Launch DRmare software and then drag & drop the songs or playlists from the Spotify to the DRmare converter screen, it will understand what files you want to convert and import them to the software working area. Currently it supports up to 200 files at a time. 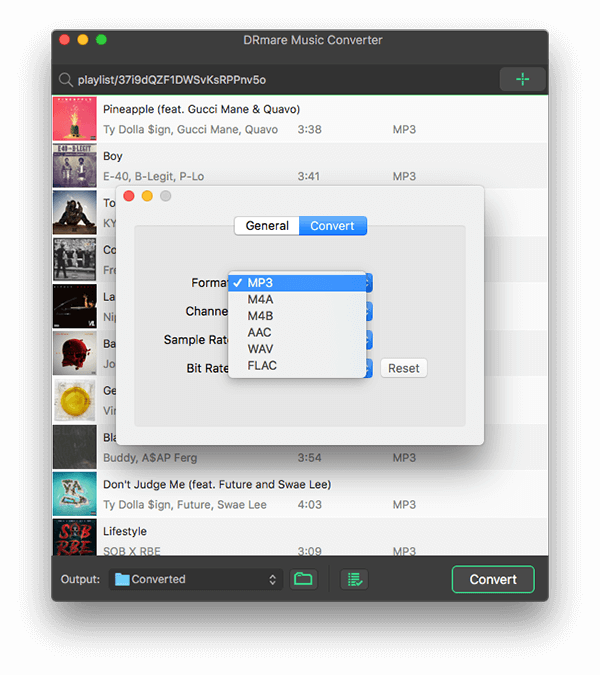 Sonos supports both lossy and lossless formats MP3/WMA/AAC/OGG/FLAC/ALAC/AIFF/WAV, so you can choose one of the supported formats from the DRmare Spotify converter. For the lossy format,you can customize the bit rate, sample rate to enhance the audio files. For the lossless format, all the info will be kept as original by default. Just "Convert" button, your Spotify playlists will be saved to the local computer. In general, the software can convert all the songs with up to 5X speed. But if you has a low internet speed, you may just change the converting speed as "1X" so that to make it runs more smoothly. In case some songs can't be converted, DRmare tool can skip it automatically. Note: The trial version is limited to convert 3 minutes for each song. After downloading, you can add the offline audio files to the local music library of your Sonos from a computer or a phone. Take the Sonos app desktop version for example. You can tap "Manage" menu and select "Music Library Settings', then click "+" on a Mac or "Add" on a PC, you will see the option select the option where your music is stored. After that, please wait a few minutes for the audio files to be synced on your Sonos. By downloading all the Spotify songs and playlists, you can stream them from Sonos without paying for the subscription fee any more. It is extremely helpful for the users who want to enjoy high quality music for free.The only thing you need to do is to spend some time/efforts to get your Spotify songs offline.